A Margate man has been jailed for controlling behaviour over his former partner which included locking the bedroom door at night and putting the key under his side of the mattress. For a number of years Martin McGlasson, of no fixed address, subjected the woman to extreme behaviour, stopping her from leaving the house, or allowing any contact with her friends and family. The victim was not allowed to use the phone or internet unsupervised and all technology would be unplugged. McGlasson’s behaviour became so obsessive and controlling that the victim was forced to leave her job, feigning ill health as the reason. Over time she was then no longer allowed to leave the house and a CCTV camera was set up at the front door so he could monitor any conversations the victim had with callers. Concerned about her future, the victim managed to secretly establish an internet connection via wifi and began to contact a circle of friends to ask for help. It was arranged that they should expect a certain number of messages per week from her as a sign she was safe, otherwise they should call the police. There was an understanding that is she used the phrase ‘amber alert’ it meant McGlasson’s behaviour was particularly bad and a red alert meant she was in imminent danger. 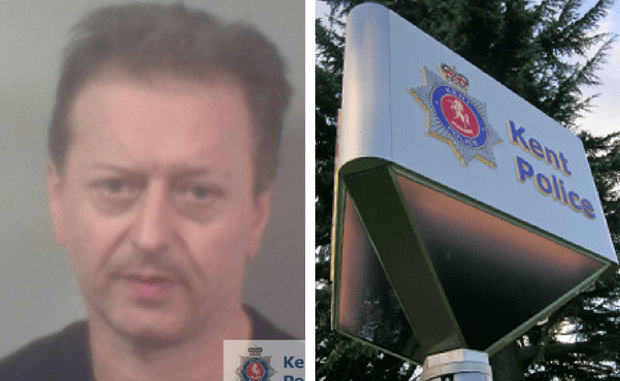 On 6 September 2016, the victim’s friends called Kent Police after an amber alert was sent. When officers arrived at the Margate house, the victim told them what had happened and 50-year-old McGlasson was arrested. McGlasson was also later charged with a further count of controlling or coercive behaviour towards another woman known to him which he had carried out during 2016. At Canterbury Crown Court McGlasson pleaded guilty to both charges. He was sentenced on Friday 15 December to a year in prison. Investigating officer Detective Constable Lynne Short said: “Although McGlasson was never physically violent, he was psychologically abusive towards his victim and this was something which developed over time. “This sort of behaviour is so dangerous, as there is a risk the victims will play down or normalise what is happening to them and offenders will make them believe it is just part and parcel of everyday life.